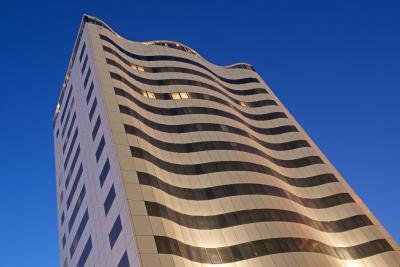 Lock in a great price for The Royal Riviera Hotel Doha – rated 8 by recent guests! The people! 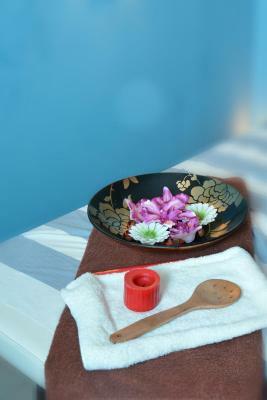 -- every staff member I encountered during my 3-night stay was lovely -- engaging, polite, and eager to be of service. 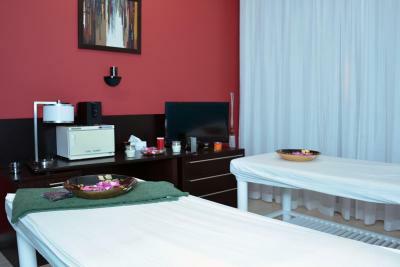 The reception desk was especially accommodating when it came to settling the bill for my stay: on my final night there, I was out of Qatari riyals, and all the exchange places had closed! The hotel manager very kindly agreed to exchange my money at the outside rate (rather than at the hotel's own exchange rate, which would have resulted in a loss to me). This didn't end up being necessary as I found another solution, but the fact that she was willing to work around the situation left me with a very positive feeling. In a world full of rules and regulations, sometimes it's those small moments when exceptions are made that are the most valuable. Free airport shuttle. Super comfortable bed. 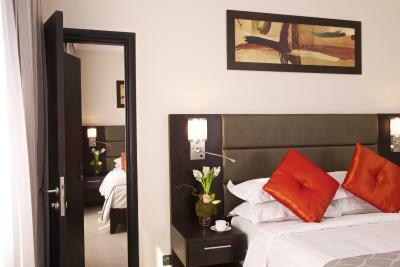 Excellent room and hotel including the professional staff. Couldn't have been better. Highly recommend. 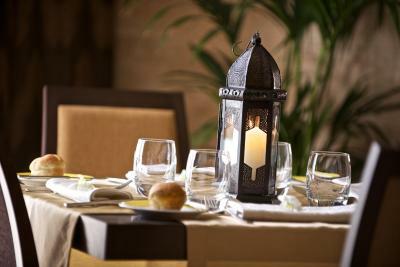 #Location, #Pool Area, #Restaurant My younger son was accompanied with me, our stay was so comfortable and pleasant. 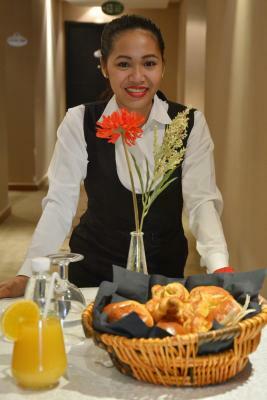 Especially kind and cooperative staff of hotel is really admirable. Hotel is highly recommended for families with kids. I really like how they facilitate their guess. They are so warm and friendly. It was near to corniche and souq and other places. Parking was no hassle. Room amenities were complete. Staff were helpful. View of the corniche was okay. Close to aiport and Doha Famous attractions like Musium of Islamic art and Souq waqif and banana Island Boat Pich up terminal. 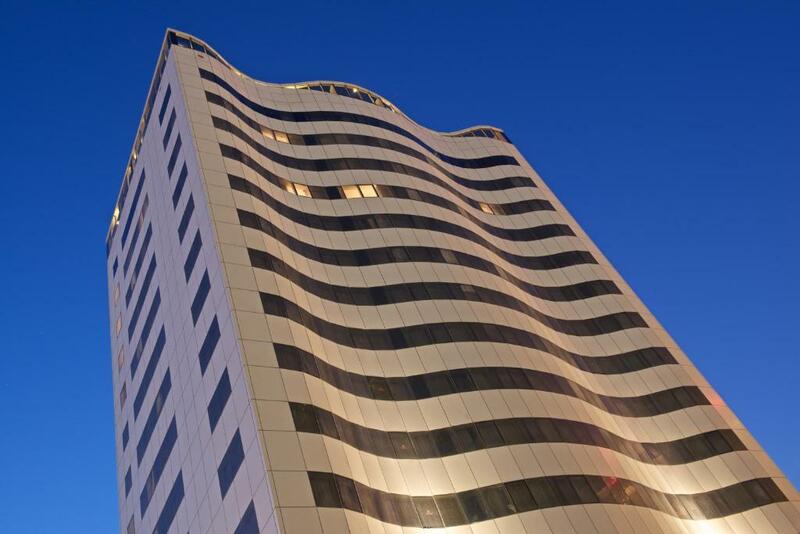 Located along the Corniche, The Royal Riviera Hotel Doha overlooks the Arabian Gulf. 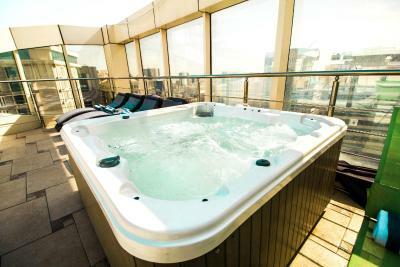 It offers free WiFi, a gym and a rooftop swimming pool with a sundeck. Souq Waqif is 10 minutes away by car. 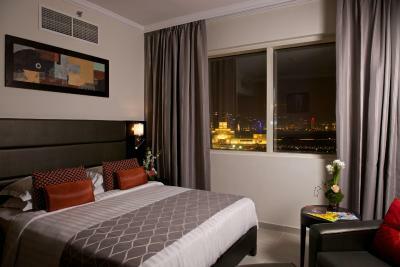 All accommodations at The Royal Riviera Hotel Doha features air conditioning and a modern décor. Fitted with carpeted, each room and suite has a mini-bar and a private bathroom stocked with free toiletries. Some offer sea and city views. 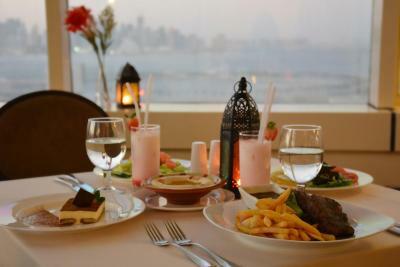 You can dine at Restaurant International, which serves a variety of Arabic and international specialties. 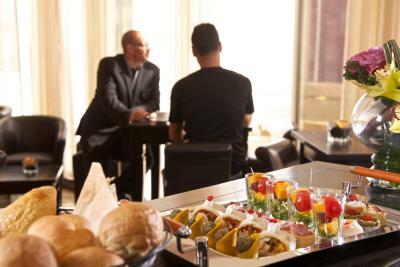 It presents a buffet and an à la carte menu, and provides a 24-hour room service. 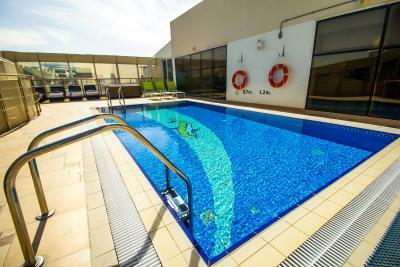 After a workout, you can take a swim in the pool or relax by the terrace. 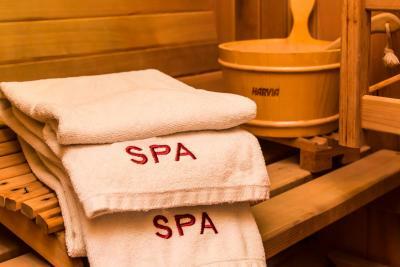 For a fee, you can enjoy a massage at the spa. The tour desk can arrange local excursions. 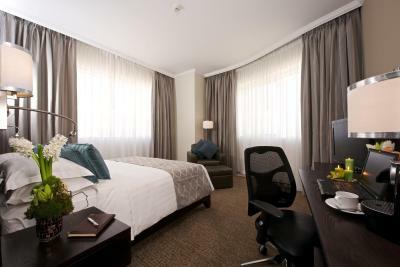 Business District and West Bay are a 10-minute drive from The Royal Riviera Hotel Doha. 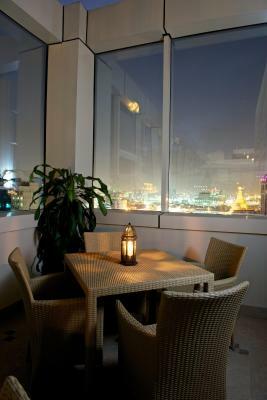 You can drive to City Center Mall in 10 minutes, and the hotel directly faces the Museum of Islamic Arts. Doha International Airport is 10 minutes away by car. 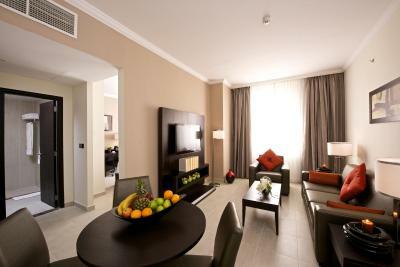 When would you like to stay at The Royal Riviera Hotel Doha? 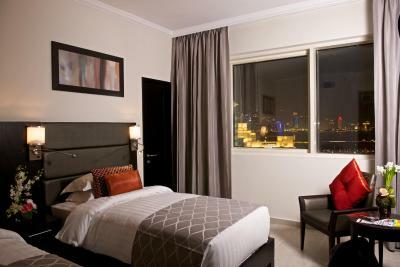 Featuring modern décor, this room offers view of the city. It includes a flat-screen TV, a minibar, an electric kettle and a coffee machine. 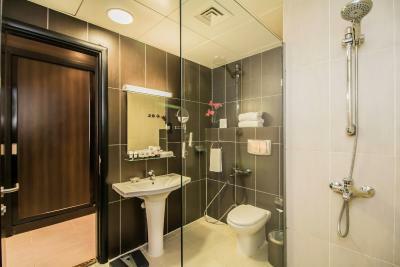 The private bathroom is stocked with free toiletries. Free Wi-Fi is available. 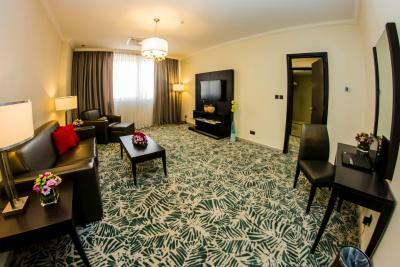 Featuring free WiFi, this modern, spacious suite offers air-conditioning and a living room with a TV. It includes a fridge, an electric kettle, a coffee machine and a wardrobe. The private bathroom is stocked with free toiletries. It can be connected to the Executive Room. 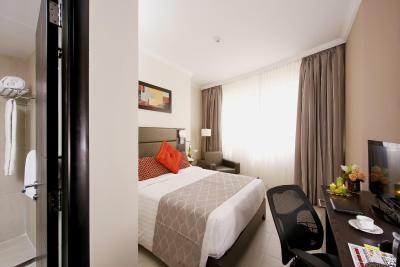 Featuring free WiFi, this room offers views of the city and the sea. It includes a flat-screen TV, a mini-bar, an electric kettle and a coffee machine. The private bathroom is stocked with free toiletries. 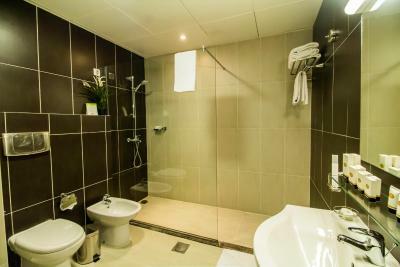 This air-conditioned room has 2 bathrooms and 2 bedrooms connected by a passageway and a sitting area. 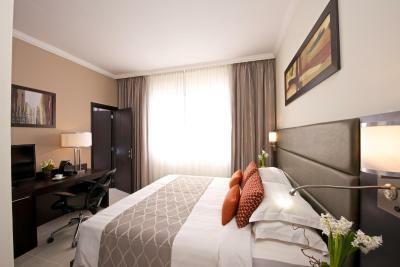 The bedrooms include TV, air conditioning and view of the residential area. 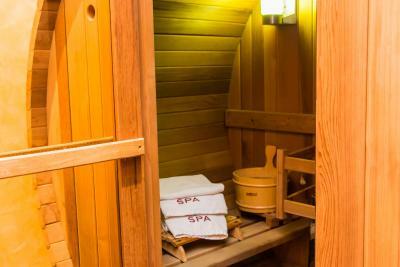 Each room has a complimentary safe, tea and coffee-making facilities, iron and ironing board, luxury bathroom toiletries, direct dial telephone and hairdryer. 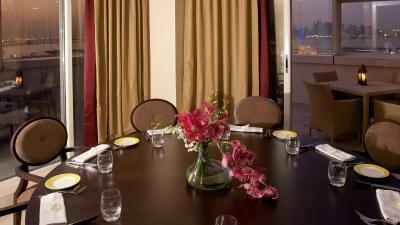 This room includes Iftar and Sohour. 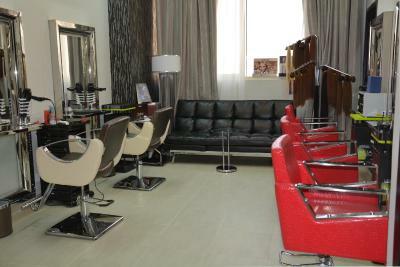 House Rules The Royal Riviera Hotel Doha takes special requests – add in the next step! 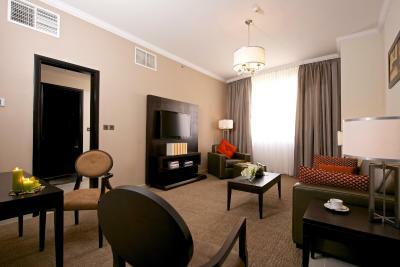 A QAR100 damage deposit is required on arrival (around USD27.47). This deposit will be fully refunded at check-out, as long as there isn't any damage to the property. 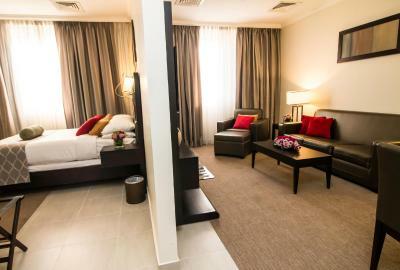 All children under 12 years are charged QAR 90 per night for extra beds. Any additional older children or adults are charged QAR 180 per night for extra beds. 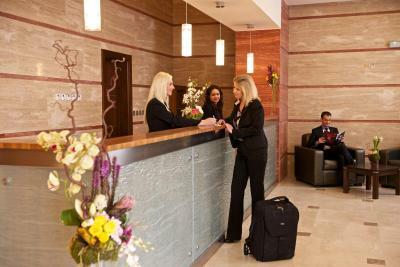 The Royal Riviera Hotel Doha accepts these cards and reserves the right to temporarily hold an amount prior to arrival. Please note that The Royal Riviera Hotel Doha does not serve alcoholic drinks. Please note that a security deposit is required upon arrival and is refundable after check-out. 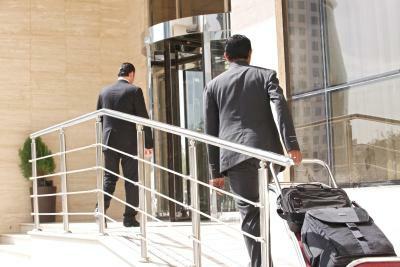 A damage deposit of QAR 100 is required on arrival. That's about 27.47USD. This will be collected as a cash payment. You should be reimbursed on check-out. Your deposit will be refunded in full, in cash, subject to an inspection of the property. The shower was not so much clean. 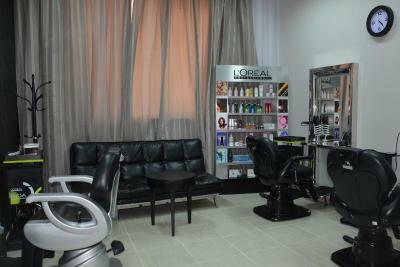 Good staff, good ubication and nice sport facilities and coffee shop. Except the manager operations the others are talk the talk only. I love to swim and I booked this hotel because it had a heated rooftop pool and jacuzzi. 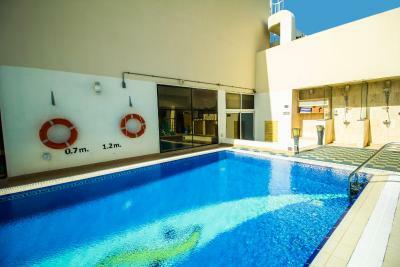 Sadly, however, both the pool and the jacuzzi were ice-cold -- folks may think of Qatar as a very hot country, but in the winter it gets quite chilly, and given the strong winds on the roof, the facilities were unusable. When I asked the hotel staff about this, it was explained to me that the heating equipment was broken and, in fact, due to the embargo, it would remain unfixable. Given how important the pool option was to me when I booked, and how much I had been looking forward to swimming daily during my stay, not having it was a huge disappointment. In addition, the room was cold at night with no option to heat it. I had to ask the concierge three times before someone brought a space heater to my room. Just want to highlight the drape / blackout curtain because the light from the outside is passing through it, i know those night people doesnt like it that much, but above all, everything is perfectly good. No bathtub in the washroom. The decoration in the room was awesome. My request for late checkout, which was partially denied. Everything I like about the hotel especially location and no noise pollution. 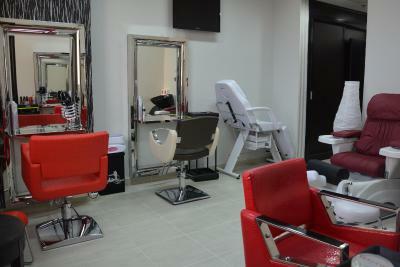 The staff are also very supportive and dedicated in fact very professional. 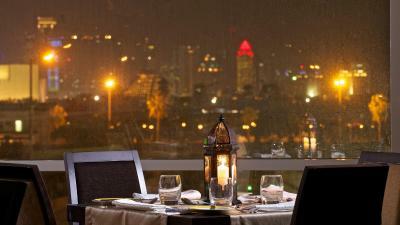 The Marhaba Restaurant is also excellent overall I love the Royal Riveria Hotel and definitely recommend others. The area is not the most "beautiful" one ;) but this is minor remark. 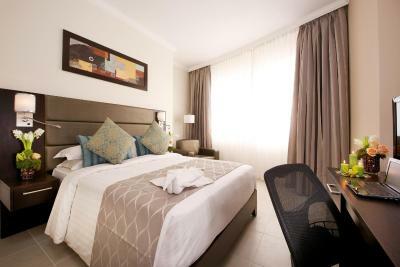 Good location, nice room and bathroom, very reasonable price for Doha (we stayed at luxury but much more expensive hotels in Doha before and Royal Riviera is good value for money), free transport from hotel to the airport (5am was just OK for us), nice young man (Aden if I spell it correctly) who drove us was very kind and friendly. Mushy bed was shaped like a shallow bowl. Sleep on a side and you sleep on an angle. Towels were cheap, are old. There was mold in the shower. I came back one day and found that the maid had not pulled the door closed. Rooms are small. 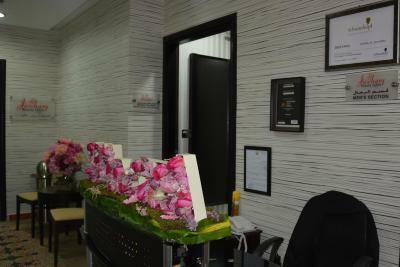 Most of the staff is more into chatting among themselves and playing with phones, less into providing decent service. Everything about this place reflects a focus on greed, maximizing profit with no serious regard for providing a decent-quality experience and respectable customer service. Numerous other hotels offer vastly better value for money. As of December 2018, there was a lot of construction noise on the west side of the building. I liked leaving. 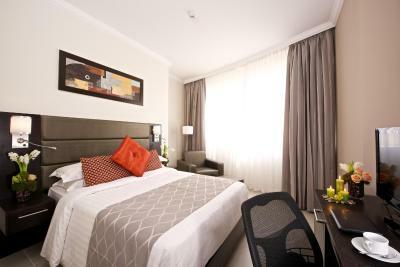 This is not a 4-star hotel in terms of the building, amenities, furnishings or staff.